Mark this accomplishment with a high quality championship t-shirt. With cool graphics and the official marks of JR Motorsports and the Xfinity Series. A must have for any NASCAR fan! This shirt is very comfortable to wear. 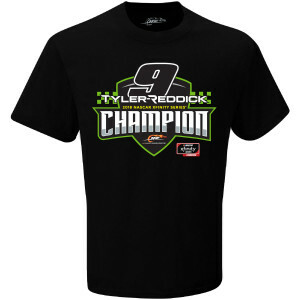 My order for Tyler Reddick's Championship shirt was here in just a few days. I am very happy with the shirt, hat and the free hat. I need XL shirt and they are not in stock for reorder. 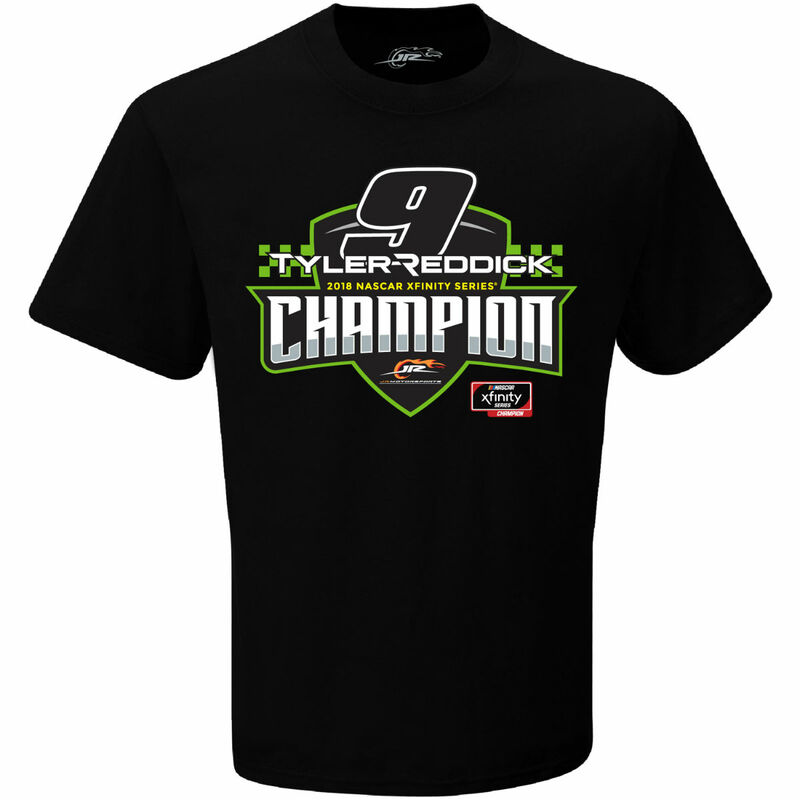 Please notify me when you have a Tyler Reddick Championship shirt in stock in XL. Go Tyler!! !